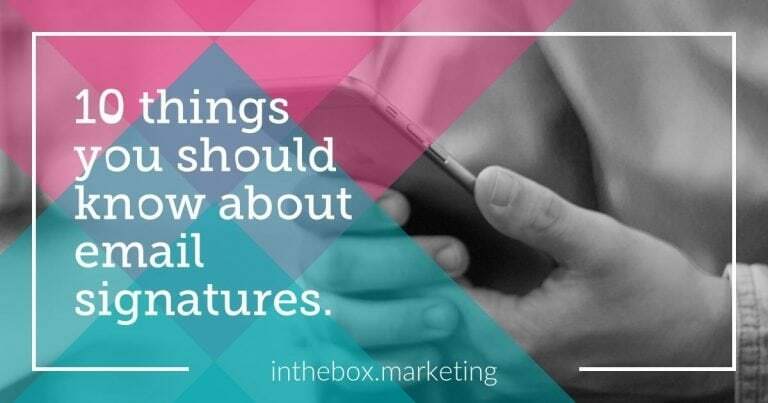 Email signatures have been a source of hot debate for as long as email has existed. What should be included? How branded should they be? Registered in England and Wales, no. 10046880, at the address above. VAT registration no. 263 1672 09. Copyright © 2019 In The Box Marketing Ltd. All Rights Reserved.